Still looking for a stocking stuffer or gift for that snow loving friend? Want to get something unusual and hard to find in North America? 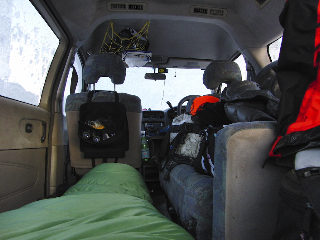 Does your friend babble on about Powder lines, Japan, and sleeping in Cars? Then this is the perfect gift! A copy of the latest edition from the “Car Danchi” series! Until now if you wanted a copy of Car Danchi in the USA or Canada you either had to fly to Japan to get one or resort to less than legal mean to procure a hard copy. Well finally we have made things easier and don’t have to feel guilty about hitting that download button! Buy it from the source! The Official Car Danchi store for North America. 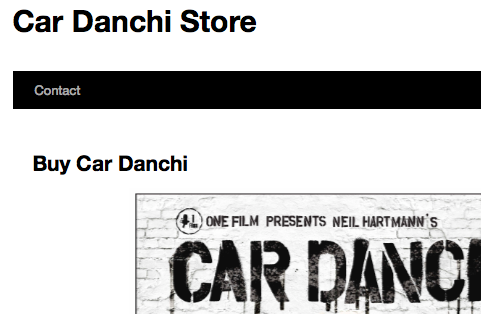 Car Danchi NO.5 is the only movie on sale right now, but stay tuned as we are looking to add more product soon including previous editions of the movie and more. Length: 45 minutes and some secret bonus! The Music featured in the movie is all produced by Japanese or artists residing in Japan. From straight funk, to more ambient tracks every track is one you will want to include in your library. Keep your engines running, we are keeping the dream alive! The ultimate snowboarding lifestyle powder movie is back, after a two-year recharge! In this year 2011 even natural disasters and nuclear meltdowns could not stop this crew of determined dreamers. We drove, found and filmed the best powder spots in Japan, and we want to share it with you. A snowboard movie like no other, showcasing the “Art of the turn” in glorious powder definition, enjoy 50 minutes of winter bliss, and keep on dreaming! 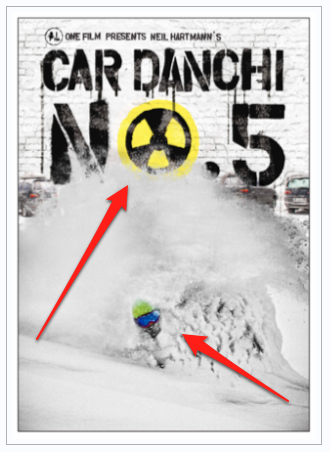 The Car Danchi series is always filmed at the best backcountry and side country locations around Japan. 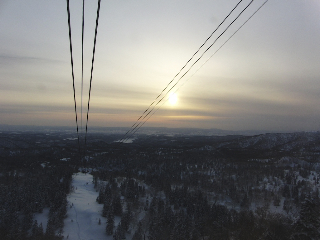 The famous spots like Niseko and Nagano are covered, but we also try to find new and unknown backcountry locations. This season we found some great spots in Niigata while cat boarding, Asahidake and even some great spring riding in Niseko’s Annupuri area. Check it out a new online movie from Antti Autti featuring a lot of stuff filmed on his trips to Japan. Antti has been a legend in Japan for a long time now due to his regular podium appearances here at the Toyota Big Air and of course the X-Trail Jam. As you will see from this movie not only is he a contest veteran, but he is now focusing on mastering the world of powder and natural terrain. I have always been a fan of Finnish snowboarding, not only has that small country produced some of the finest riders throughout history, but they also know how to make films. There is a lot of filming and editing talent coming out of Finland and this is no exception. Looking forward to seeing Antti back in Hokkaido this coming winter. Click the link to watch the movie. 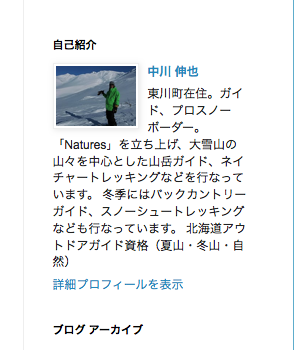 Long time Car Danchi crew member Shinya Nakagawa is now mountain guiding year round in the Asahikawa area. 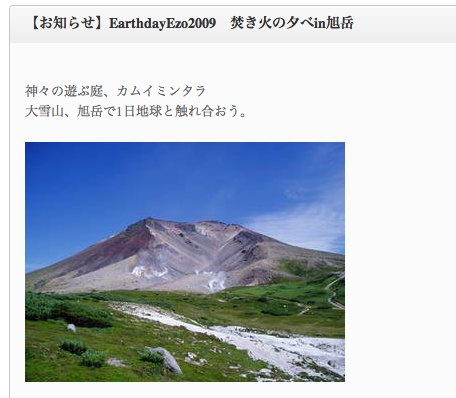 Based in Higashikawa at the base of Asahidake he is leading tours and days trips in the area. If you plan a trip to the area look him up it will be well worth your time to have him guide you around in any season! 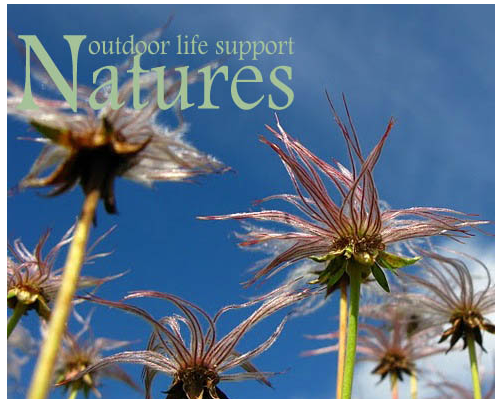 Check out his blog and site for more up to date info! Spent a nice four days in the Higashikawa area with the Blueblood team shooting for their yearly catalog and advertisments. We were originally scheduled to hold the third annual “Fundays Event” in nagano, but it got cancelled due to the 3/11 Earthquake and Tsunami. So instead of the event we set up a spring shoot in the Tokachi mountains. We got super lucky with the weather, a late season storm rolled though last weekend and left a foot of snow on the mountains. We arrived on Monday and were actually able to get some powder turns on Tuesday at Kurodake. After that the snow crusted up a bit, but it was still fun in the sunshine on Wednesday at Asahidake and again on Friday. Thanks to the crew for a fun trip. Asahidake bathed in sunset light on arrival Monday afternoon. Hiking near the natural steam vents on Asahidake, as upossed to the steam venting at Fukushima Nuclear Power Plant. Ken brought along his Lib Tech snowskate and rode top to bottom with good style. Hayato finds a power spot. Took a short trip to middle Hokkaido the last two days. Great weather, good food, nice Onsen’s and quality family time. Although the spring feeling is in the air and the temperatures have gone up the snow on the high mountains is still amazingly good. 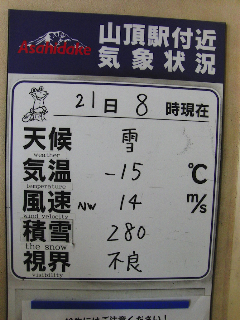 Asahidake had a great layer of powder and the mountain was empty! 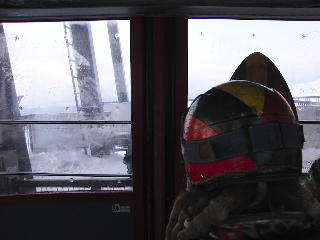 I took only one run in the late afternoon on the 4:40pm gondola and I was still able to ride powder all the way down! Seriously no tracks all the way down! What is going on? 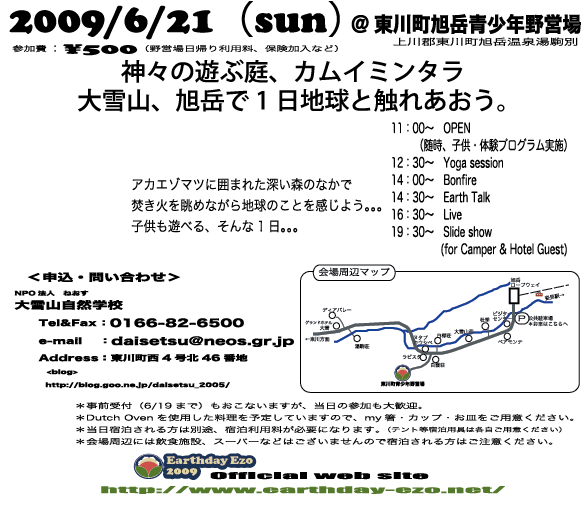 I am planning to take a day off from the editing and head to Asahidake camp ground for the Earthday event they have planned there. Check out details here. Yoga lesson, Dutch oven cooking, Slideshow and more are planned. 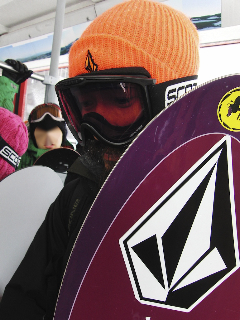 Probably will still be pretty cold up on the mountain but want to kick off the camp season a.s.a.p. If you are in the Asahikawa area might be a good event to check out. Shinya Nakagawa (Car Danchi crew member) is the camp ground manager at Asahidake this year so I am looking forward to seeing him and checking out his new job. Knee deep at Asahidake on Saturday! Was happy to see a lot of friends and powder lovers out there getting some face shots as we near the end of the season. it was cold at minus 15 on the mountain. Takamasa, Yamauchi and Takeda were there to throw up some blower powder turns. Car Danchi morning in Higashikawa. Minus 5 in the morning. Minus 15 on the mountain, felt great to feel cold temperatures again. 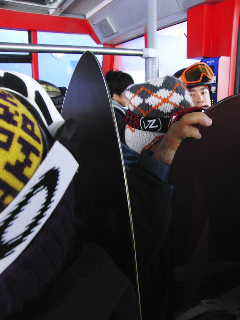 Lots of pointed noses at Asahidake. 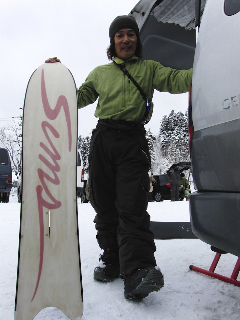 Yamauchi with his Gemten snowboard. Takeda showing off one of his classic original Sims. He was on of the original Sims Japan riders back in the day. 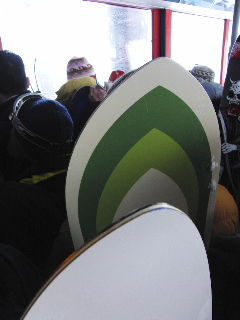 Par waiting for the door to open and get to that last powder run at 5pm. Typical Hokkaido Spring even light.